There is an excellent coverage by Economist for Steem blockchain. We believe that it is onto us to increase the visibility of such coverage so that more and more people know how this community is working together for a common goal and they also feel attracted to join Steem. You can help us do that and at the same time earn upvotes from @actnearn. 1. For Twitter - retweet and retweet with comment. In comment add your steem account, #steem, and #Steem. Add your Steem account name (like @actnearn) while retweeting with comment or sharing. This is important to filter in genuine participants and make sure that it is you and only you who has shared. No other person can earn upvote for your action. for new participants upvoting will be done after 6 days of the action to make sure retweets and shares are not deleted just after the upvote. We will calculate loyalty score of participants from the data till the date SMTs are launched. 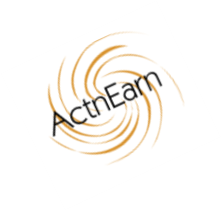 Participants will be awarded actnearn SMT tokens based on that loyalty score. To delegate SP to @actnearn you can use this link https://steembottracker.com/delegation.html to enter your username, the amount of SP you want to delegate, and place actnearn as the user you are delegating to. Yes. we appreciate that and thank you for the support. Regarding bonus - we will calculate loyalty index when launching SMTs and extra bonus actnearn tokens will be issued then to reward our loyal doers. Hope that takes care of your concerns. Your LinkedIn sharing is ok but twitter u just shared our tweet. U did not retweet from yr account. Pls do it correctly next time. Although we have upvoted u even this time. Pls recheck linkedin sharing. In our link it does not show shared by u. You got a 13.16% upvote from @upmewhale courtesy of @actnearn! Sorry. Without proof we can not upvote. This post has received a 23.73 % upvote from @booster thanks to: @actnearn. It is very good that you share this type of topics ... can you keep sharing more about this? Pls read our intro post. Link is given in the post itself. Your post is really a very important and well posted here.Yes, a lot of true steel things have been published outdoors, and you have mentioned in your post about this post. Initially I thought it was some new coin @actnearn...saw the link , thumbs up for the effort !! Ok....I understand...Thank you very much! Unfortunately I don't have a Twitter or LinkdIn account..
Ok I've completed the task.. Check my Facebook. It's there..
You got a 21.87% upvote from @postpromoter courtesy of @actnearn! Please respond if the link is ok? @actnearn I am still waiting for upvotes on my shared links for 2 posts..